MISD's Summer 2018 Magazine is Now Available! 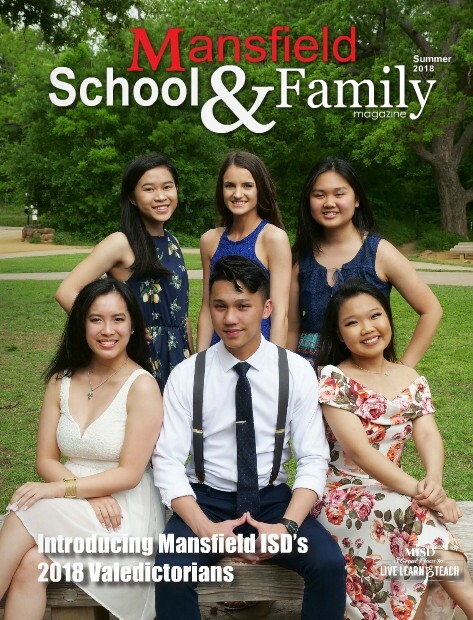 Just in time for summer, the latest edition of the Mansfield ISD Magazine is here! The summer 2018 issue features the MISD class of 2018 valedictorians, and there's a spread about each high school's valedictorian and salutatorian inside. Also in this magazine are stories of the district's Teachers of the Year, Heartbeat Award winners, various summer programs and tons of student achievements.